This vanity has both an all-around look and a modern style. With a white engineered stone counter and white solid wood base, this product is good-looking and useful. It is made with a double-door cabinet to hold all your bathroom items. Bring a classic look and feel to your bathroom with this beautiful set from Home Decorators Collection. Bring a fresh, modern look into your bathroom with this vanity. Made with a roomy single-door cabinet and drawers, this vanity has lots of room to keep items like toothpaste, towels, and hair brushes. Put a nice touch on your bathroom's look with this vanity set from Bosconi. 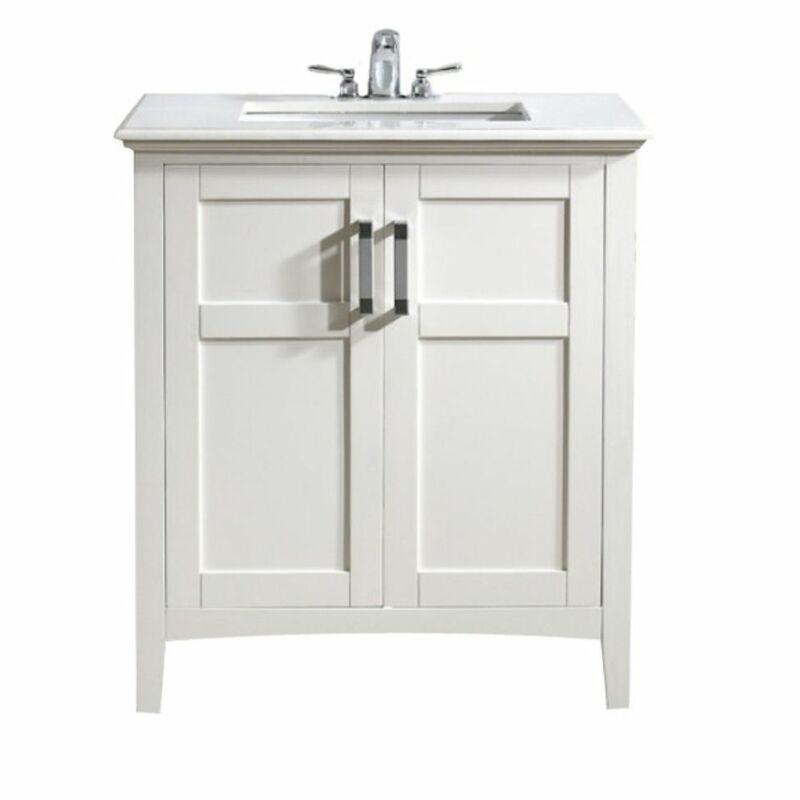 Baywind Collection 31-inch W 2-Door Freestanding Vanity in White With Engineered Stone Top in White This vanity has both an all-around look and a modern style. With a white engineered stone counter and white solid wood base, this product is good-looking and useful. It is made with a double-door cabinet to hold all your bathroom items. Bring a classic look and feel to your bathroom with this beautiful set from Home Decorators Collection. Baywind Collection 31-inch W 2-Door Freestanding Vanity in White With Engineered Stone Top in White is rated 4.0 out of 5 by 4. Rated 4 out of 5 by Trapper from Beautiful vanities Love these vanities. Just have to be careful that you don’t leave products on the counter .......it will stain!